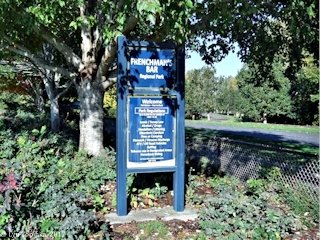 Click image to enlarge Sign, Frenchman's Bar Park, Vancouver, Washington. Image taken October 23, 2017. 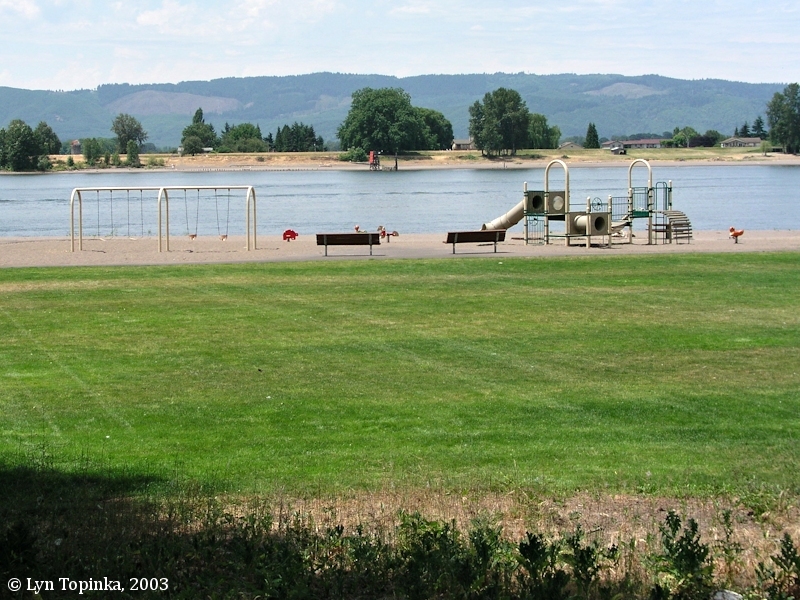 Frenchman's Bar and Frenchman's Bar Park are located on the Washington side of the Columbia River at River Mile (RM) 100.5. The area was named after Paul Haury, a French sailor who jumped ship in British Columbia and later bought land in the area west of Vancouver. 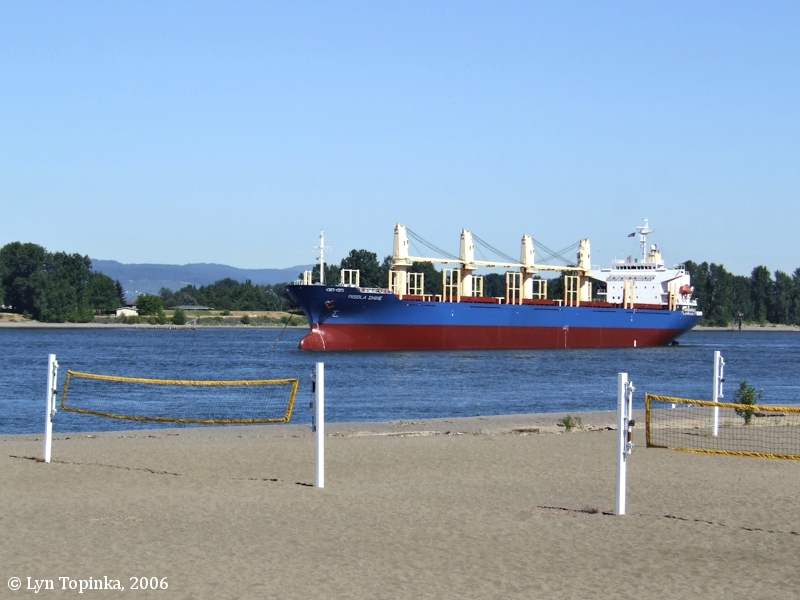 Sauvie Island, Kelley Point, and the mouth of the Willamette River are visible across the Columbia from the beaches of Frenchman's Bar. 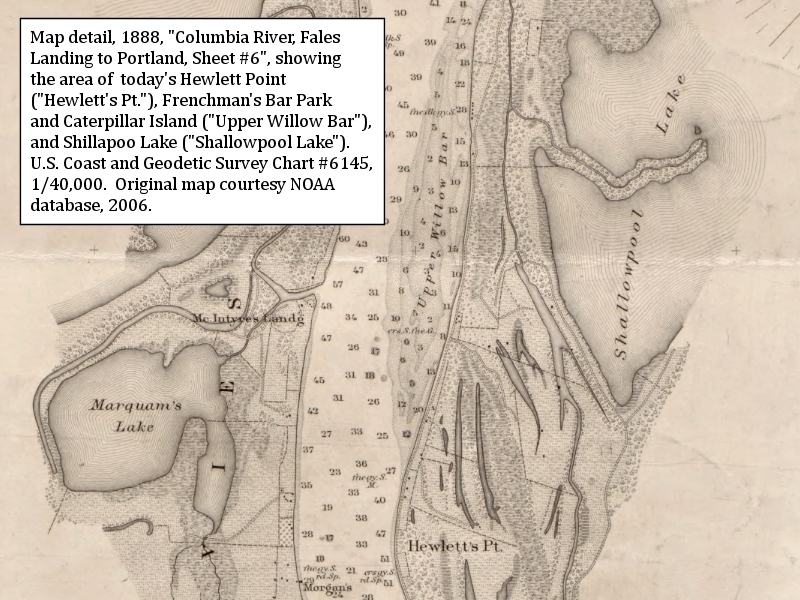 The upstream end of Frenchman's Bar Park is Hewlett Point. One mile upstream lies Blurock Landing and one mile downsteam is Caterpillar Island. 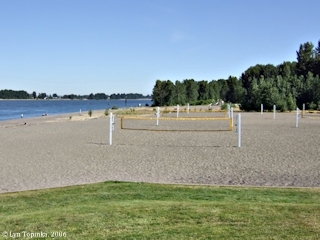 Vancouver Lake lies two miles east, and is connected to Frenchman's Bar by a formal trail. The Bureau of Land Management's 1863 cadastral survey (tax survey) for T2N R1W, shows the location of today's Frenchman's Bar Park being located in Section 1, on the Donation Land Claim (DLC) of David Sturgess. This is just north of the DLC of William Dillon, the DLC on which today's Hewlett Point is located. An 1888 plat map for Washington Territory shows the land around Frenchman's Bar to be part of the Donation Land Claim (DLC) of D. Sturgis. The U.S. Bureau of Land Management's General Land Office (GLO) records database (2015) lists an Adelaide Wodow Sturgess and Heirs of David Sturgess being granted title to 643.23 acres of T2N R1W, parts of Sections 1 and 2, and T3N R1W, part of Section 36, on August 27, 1871 (1850 Oregon-Donation Act). 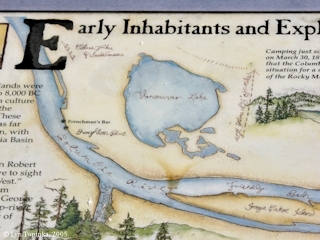 An undated plat map for Clark County, Washington, presumed to be between 1915 and 1925 shows the area of Frenchman's Bar owned by D. Mullingan. According to the information sign at Frenchman's Bar, in 1915, Paul Haury, a Frenchman for whom Frenchman's Bar is named, bought the land around Frenchman's Bar. Click image to enlarge Information Sign, Frenchman's Bar Park. 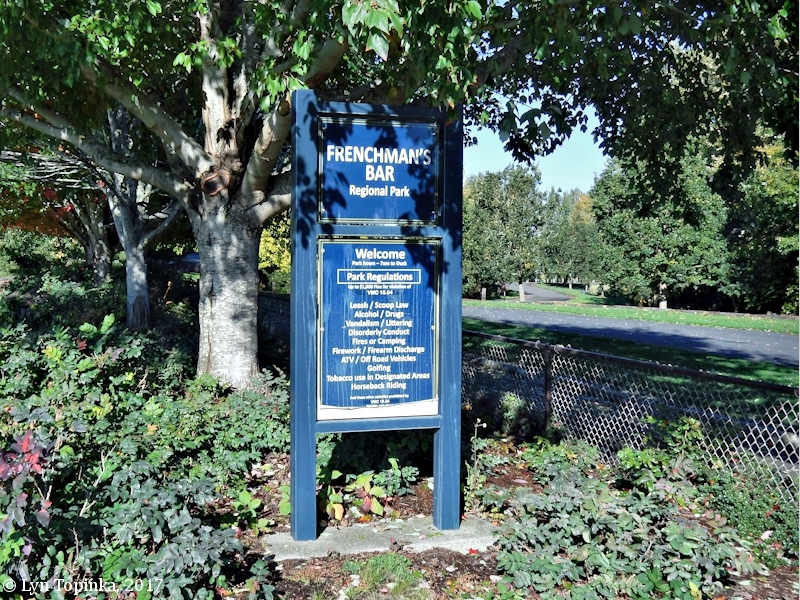 The sign is located at the extreme upstream end of Frenchman's Bar Park, at Hewlett Point. Image taken July 3, 2005. 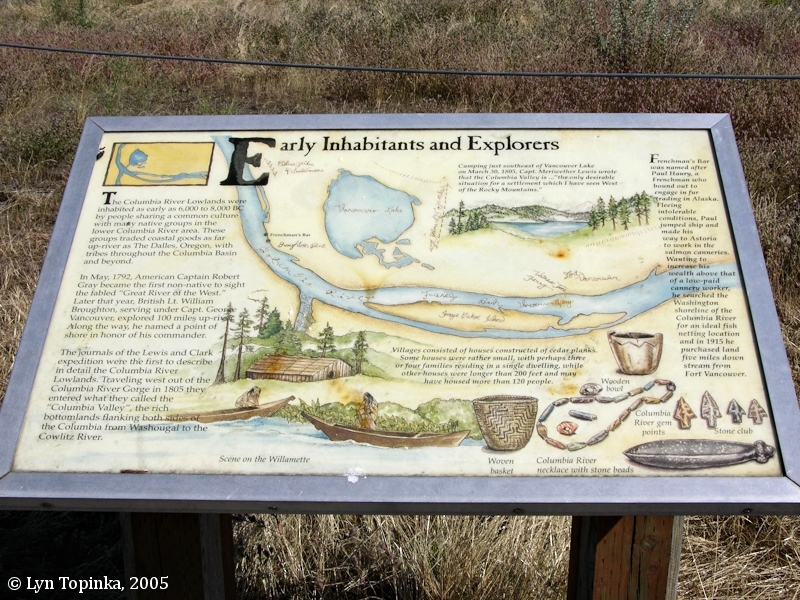 Click image to enlarge Information Sign, Frenchman's Bar Park, with information about Paul Haury. The sign is located at the extreme upstream end of Frenchman's Bar Park, at Hewlett Point. Image taken July 3, 2005. 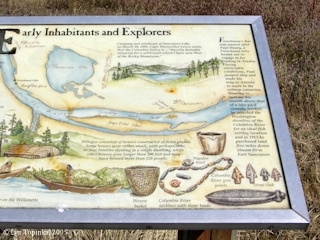 Click image to enlarge Information Sign, Frenchman's Bar Park, showing Broughton Point. The sign is located at the extreme upstream end of Frenchman's Bar Park, at Broughton Point (today's Hewlett Point). Image taken July 3, 2005. Frenchman's Bar Park, Vancouver, Washington, was built in 1997. 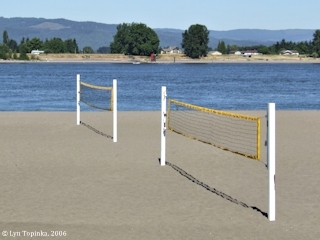 Frenchman's Bar Park is a 120-acre regional park with over a mile of sandy beaches. The park is located two miles west of Vancouver Lake Park. 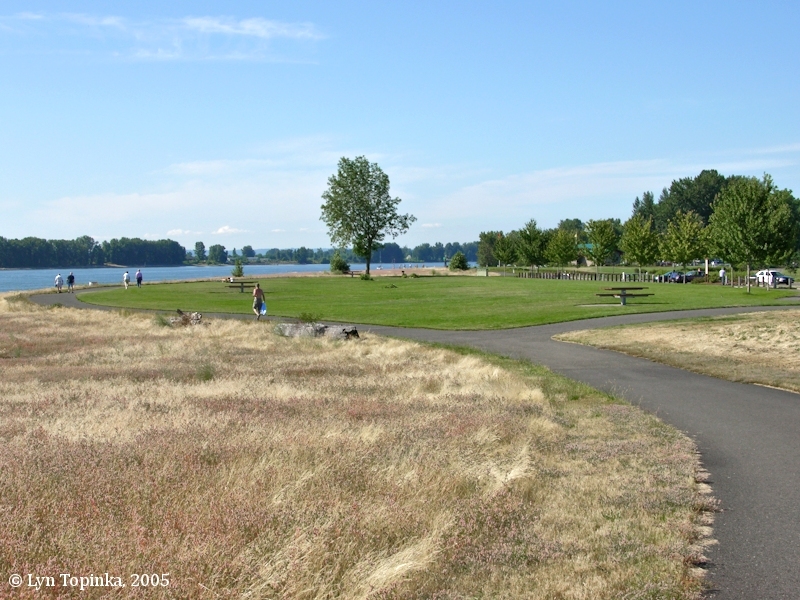 A two-and-one-half-mile asphalt Frenchman's Bar Trail connects the two parks. The upstream end of Frenchman's Bar is Hewlett Point and one mile upstream is Blurock Landing, another spot of sandy beaches. Blurock Landing has a view of five volcanoes. 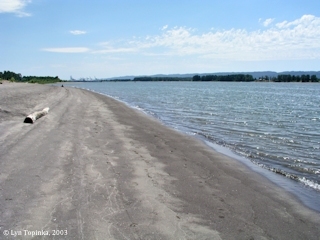 Click image to enlarge Shoreline, Frenchman's Bar Park, Vancouver, Washington, looking upstream. Image taken June 29, 2003. Click image to enlarge Beach, Frenchman's Bar Park, Vancouver, Washington. Image taken July 4, 2017. 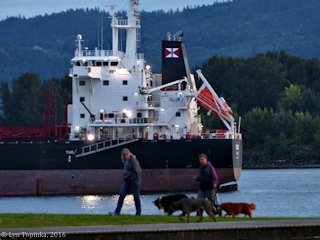 Click image to enlarge Fishing, Frenchman's Bar Park, Vancouver, Washington. Sauvie Island, Oregon, is in the background. Image taken July 3, 2005. 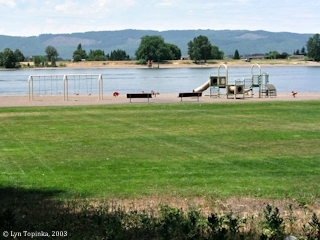 Click image to enlarge Frenchman's Bar Park looking across the Columbia towards Sauvie Island. Image taken June 29, 2003. 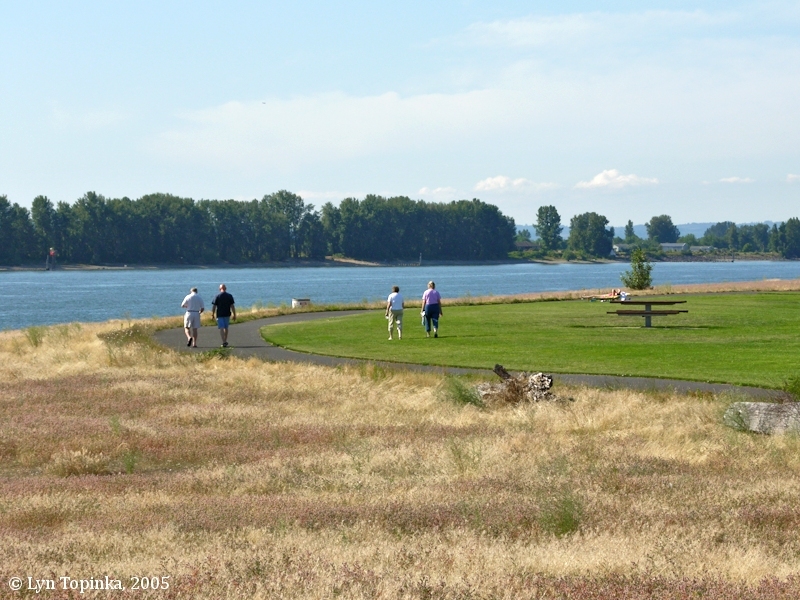 Click image to enlarge Frenchman's Bar Park, Vancouver, Washington. 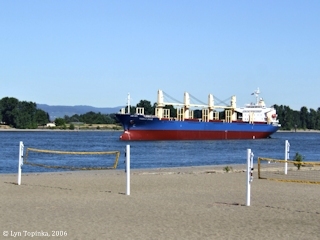 Sauvie Island, Oregon, is in the background. Image taken July 8, 2006. 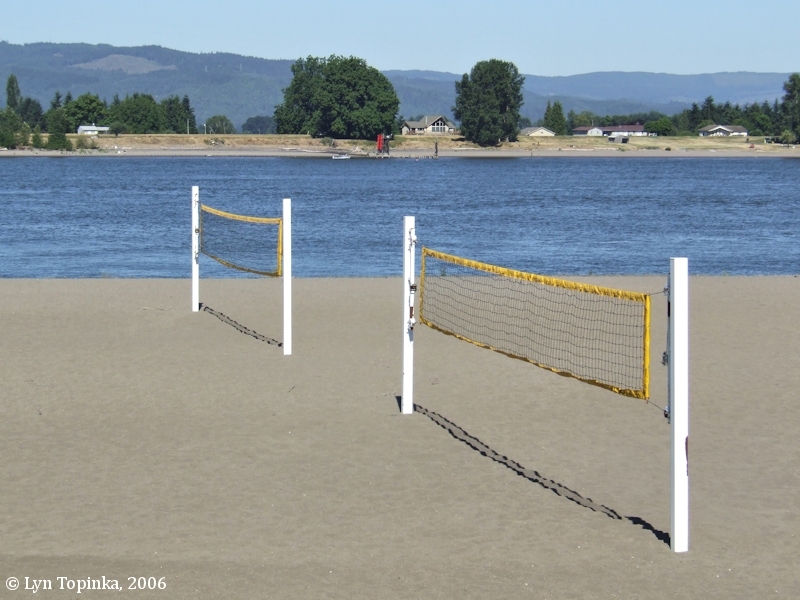 Click image to enlarge Volleyball, Frenchman's Bar Park, Vancouver, Washington. 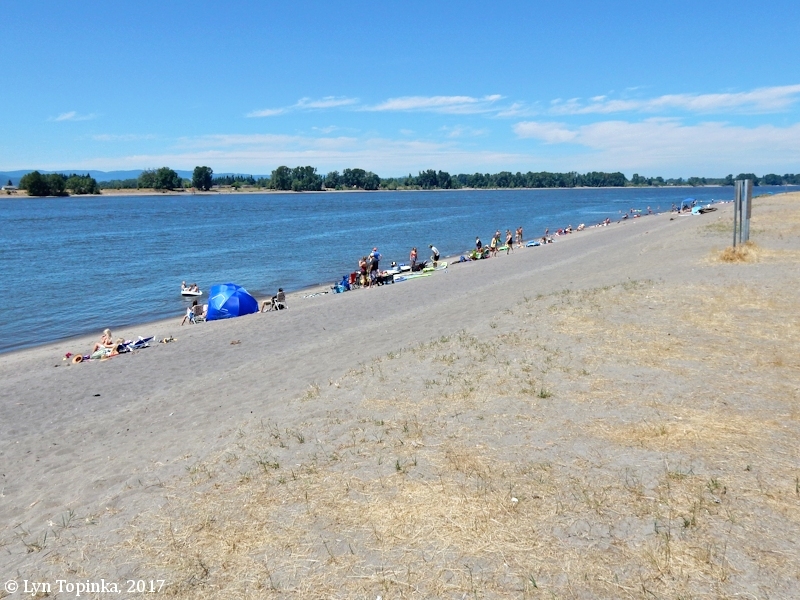 Sauvie Island and the Columbia River (looking downstream) are in the background. Image taken July 3, 2005. 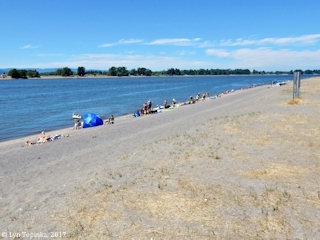 Click image to enlarge Sauvie Island from Frenchman's Bar Park, Vancouver, Washington. Image taken July 8, 2006. 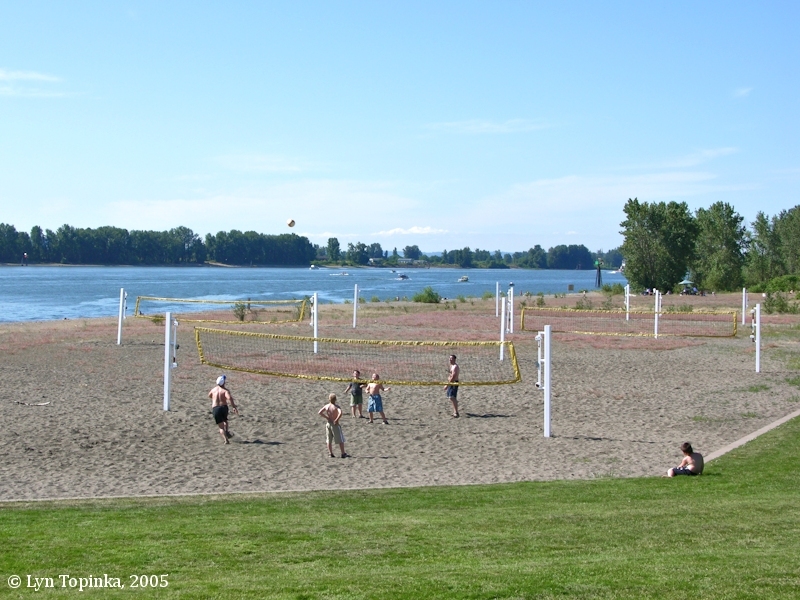 Click image to enlarge Frenchman's Bar Park, Vancouver, Washington. View of the southern end of the park. 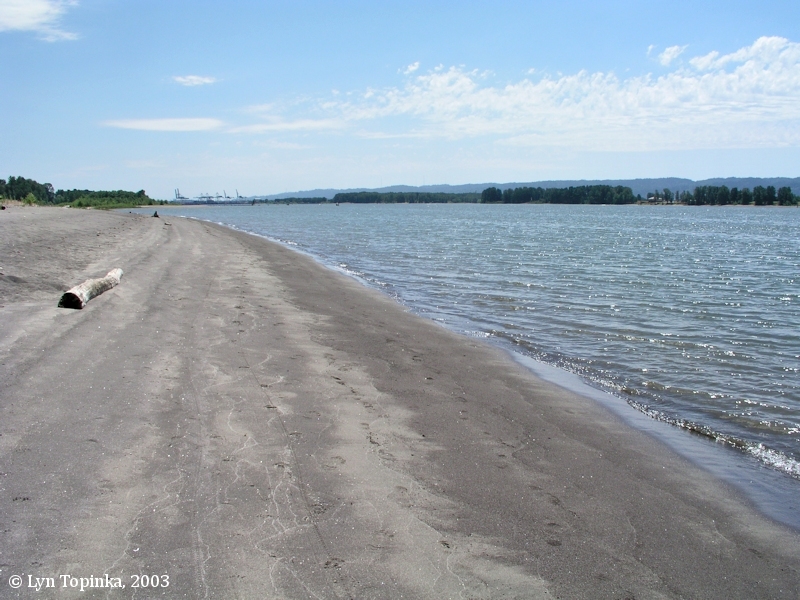 Sauvie Island and the Columbia River (looking downstream) are in the background. Image taken July 3, 2005. 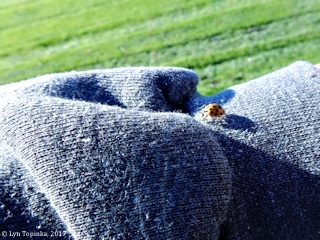 Click image to enlarge Ladybug, Frenchman's Bar Park, Vancouver, Washington. Image taken October 23, 2017. Click image to enlarge Columbia River from Frenchman's Bar Park, Vancouver, Washington. 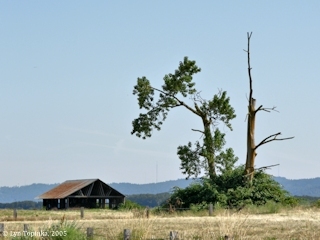 Sauvie Island, Oregon, is in the background. Image taken July 8, 2006. 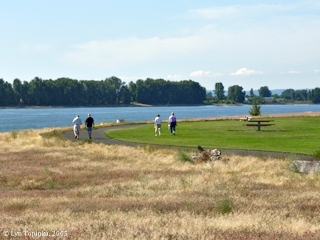 Click image to enlarge Columbia River at Frenchman's Bar Park, Vancouver, Washington. Image taken July 6, 2015. 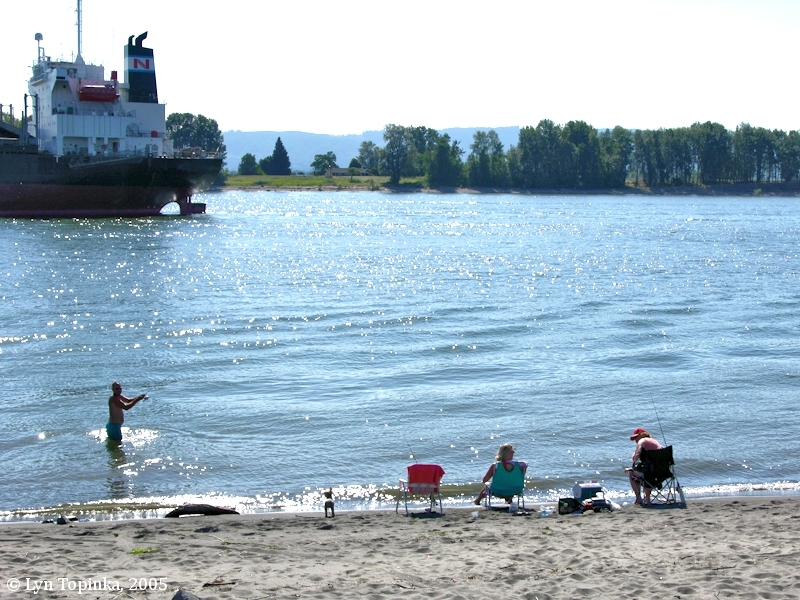 Click image to enlarge "Pacific Basin", Columbia River at Frenchman's Bar Park, Vancouver, Washington. Image taken October 23, 2017. 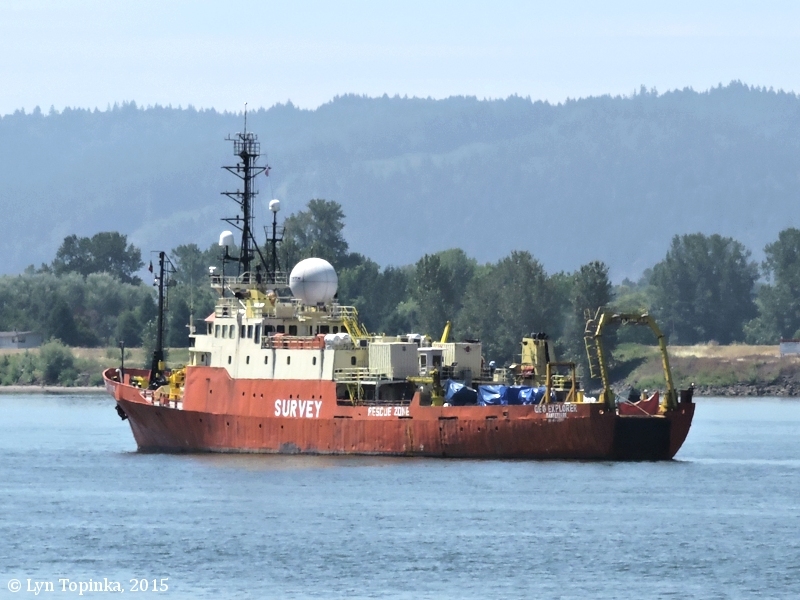 Click image to enlarge "Geo Explorer" Research Vessel, Columbia River at Frenchman's Bar Park, Vancouver, Washington. Image taken July 6, 2015. 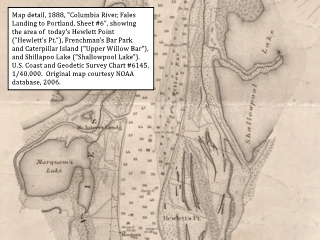 Hewlett Point lies at the southern (upstream) end of Frenchman's Bar Park. Click image to enlarge Snow Geese, Frenchman's Bar Park, Vancouver, Washington. Image taken January 11, 2018. Click image to enlarge Cackling Geese and one Brant, Frenchman's Bar Park, Vancouver, Washington. Image taken December 31, 2013. Click image to enlarge Sandhill Cranes, Frenchman's Bar Park, Vancouver, Washington. Image taken February 24, 2018. 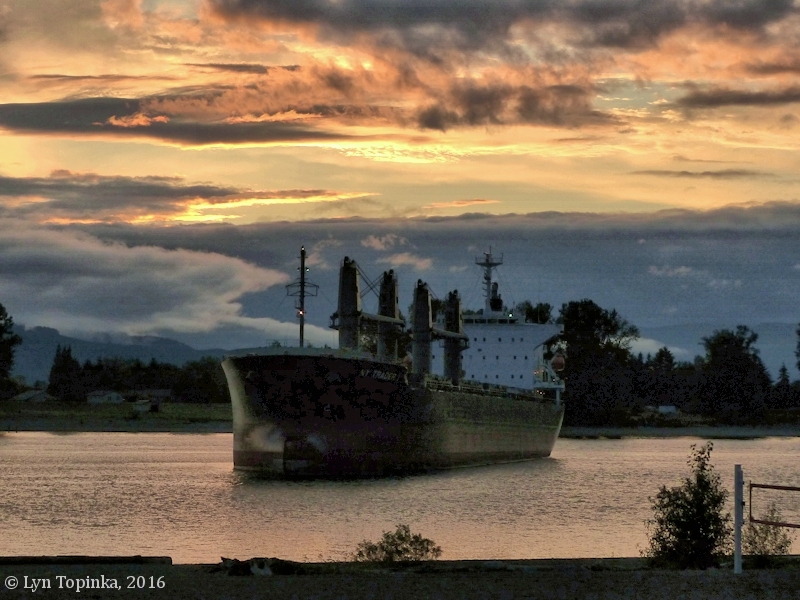 Click image to enlarge Sunset, Frenchman's Bar Park, looking across the Columbia River towards Sauvie Island. Image taken August 9, 2016.